So, the new thing in alcohol is to flavor it with something, OK it isn’t really that new, but the flavors I have found are. My thought was always that they flavored rum with fruity things to get the female audience to drink more. The best “girlie drinks” are the ones that don’t taste of any alcohol at all! Now, I’m not talking about the many liqueurs that have been around for a million years that taste like certain flavors. So don’t bring up amaretto, frangelico, goldschläger, or any other liqueurs. I’m talking about artificially flavored rums and vodkas (which seem to be the two biggest right now). I even have some of these in my own my bar as you can see from above. You may notice that everything I have fits the “fruity” or “girlie drink” flavors. Raspberry vodka in the middle with coconut, black cherry, pineapple, mango and banana rums (from left to right). But now I find that Three Olives has come out with some new flavored vodkas. The new flavors are tomato, root beer and triple shot espresso. What? Tomato flavored vodka? Each drink on the page has one recipe (I can’t link direct so click on the bottles from the above link) and big surprise the tomato has a recipe for a bloody martini. I’m thinking that is about the only drink you can make with that flavor, so what is the point? I guess they had to be creative since prior to these three new flavors, they have 13 other, more normal, flavored vodkas. Yes, 16 total now! What are the other flavors? Passion fruit, mango, pomegranate, cherry, berry, grape, watermelon, chocolate, orange, vanilla, green apple, raspberry and citrus. WOW. One thing though, isn’t orange a citrus? Why two flavors? Why not call citrus “lemon-lime” as that is what I’m pretty sure the flavor is! 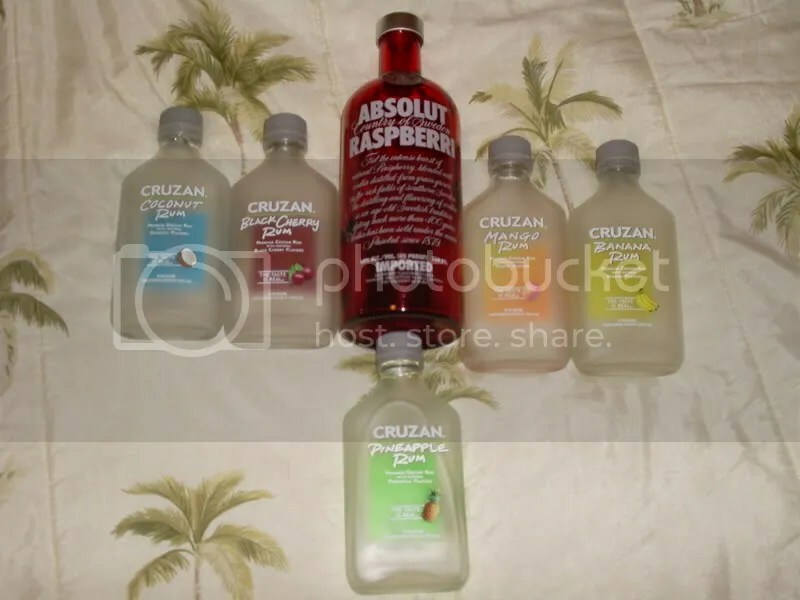 I guess I’m not enough of an alcoholic to crave alcohol flavored in 16 different flavors. I enjoy my alcohol flavored as good beer (read: stouts, porters, IPAs, etc) or as Jack Daniels. ← Great Orlando Wheel UPDATE!